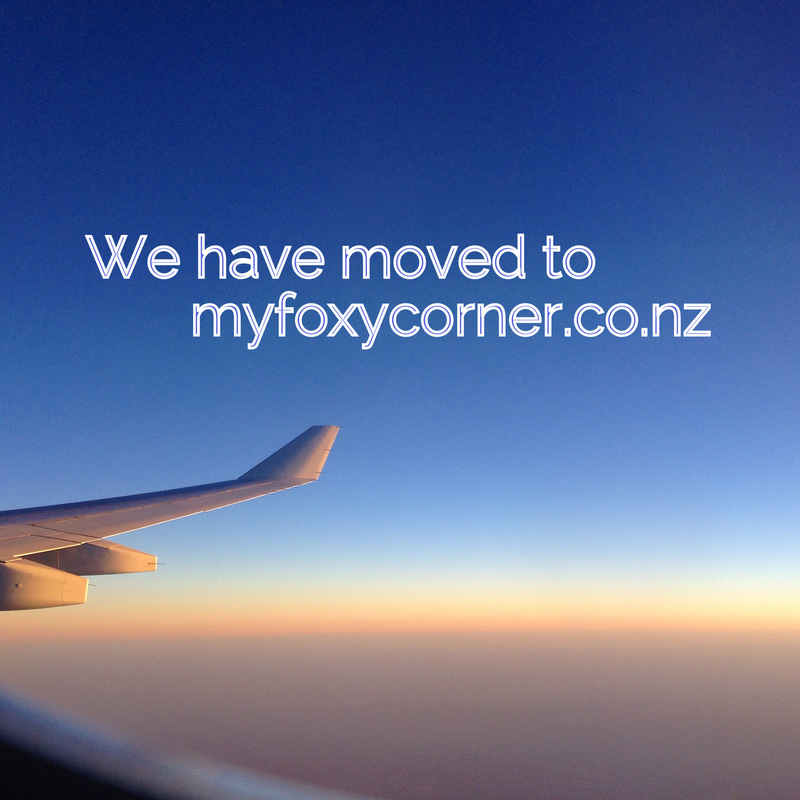 I would love for all my readers to come on over to myfoxycorner.co.nz where things are going to get bigger and better (and I am going to have to demonstrate some fast learning skills). Please make sure you re-subscribe to the new site, and like my facebook page so you can stay up to date. See you there! Taking photos of my face is something I am not used to. So please appreciate my efforts. I’m going to preface this review with two disclaimers (possibly three, I’m quite tired – wait that was one of them). Firstly, I don’t do many makeup related reviews, but lipstick is the one thing that I spend more money on than I should. I care more about lipstick than other less interesting things, like what product I will use to cover up the evidence of how tired I am or how I can disguise the unwanted blemishes moving in on my facial real estate. If I could choose one makeup product only to use for the rest of my life, it would be lipstick. 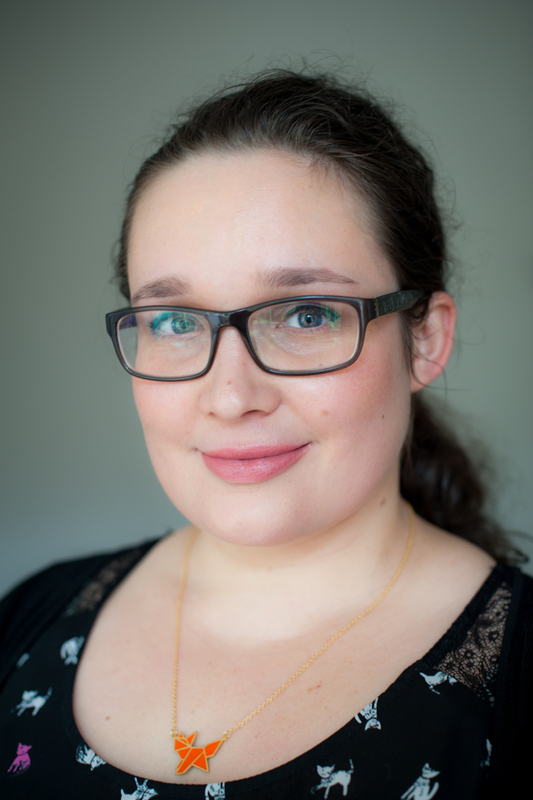 I therefore thought it would be fun to share some thoughts on the first ever lipstick by Karen Murrell that I was happily surprised to find on my doorstep. Second disclaimer is that I have an awkward face. It smiles awkwardly (somehow in the exact same way every time) but I wanted to show the lipstick on … because that’s how its intended to be used and photos are what I like to see in a review myself. Okay, so it wasn’t really a disclaimer, more a slightly pointless ramble. Sorry. Read on for the important stuff. What is it? 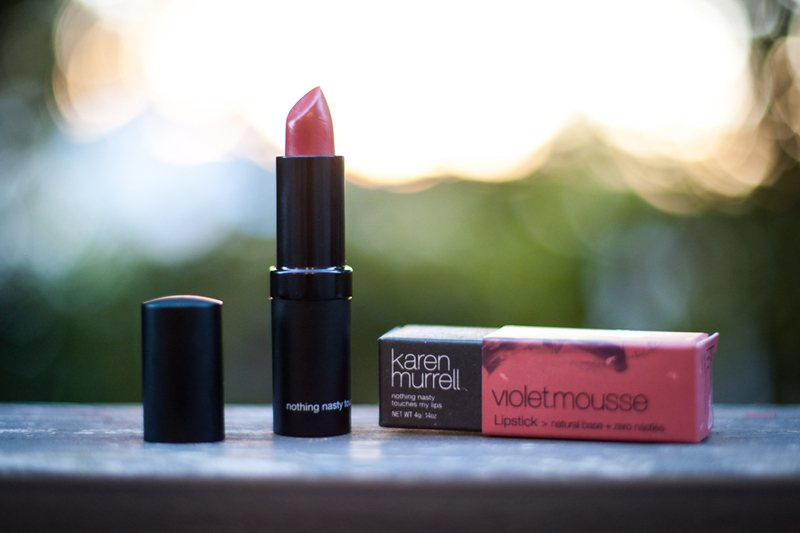 I may be the last person in NZ to try a Karen Murrell lipstick, but in case I am not, Violet Mousse (05) is the newest lipstick released in this popular line of vegetarian lipsticks, made with natural products to seal in moisture whilst adding a pop of colour. This addition to the range is a warm mid-tone pink, formulated with things like avocado oil, evening primrose and other good stuff for your lips. What I liked: Okay so I’m just going to lay down everything and declare my love for this lipstick. Firstly, the formula is ridiculous; Its balm like in texture and feels moisturising on the lips, is glossy enough to look natural and fresh and yet somehow manages to last through me eating a three course meal without looking less amazing. Usually if I want staying power, I go with a balm stain or a matte lipstick, and with a lighter shade like this, even then I don’t have much luck. Secondly, the colour is so flattering and natural, it completes the perfect minimal makeup look, bringing just enough colour to my face to help me look like a functioning human who didn’t get only 4 hours sleep because she got lost on the internet. Its a lipstick I can wear every day, for pretty much any occasion, and its low maintenance so I don’t have to check for lipstick on unwanted parts of my face every hour. In summation, I was impressed (and in love). What I didn’t like: I didn’t like the fact that I only currently have one. Not to worry, I tend to remedy this rather quickly. I honestly can’t really think of anything I would change about this lipstick. The packaging is nothing incredible but its good quality and looks smart…that’s almost a criticism right? (Okay, not really, I’m just trying to be somewhat balanced in this review and its not working). The scent is definitely strong, so if cinnamon isn’t your thing, be wary. If, however, you are a fan of delicious scents that don’t think twice and hand over your credit card. The details: You can pick this up for yourself for a pretty reasonable NZ$29.95 from selected pharmacies and health stores, you can find a full range of stockists here. I was sent this product to try out, but I was not asked to review this, or paid for any opinions. As per always, the thoughts above are 100% my own and when I say I love this lipstick, its because its amazing. Sometimes all I want to do is post about tea, and in my head I try and consider how much an average tea drinker would want to read about tea (possibly not at all) and then hold off on continually bombarding you with tea favourites. It’s not my fault that its my life source. I am slowly trying to back away from my relationship with coffee and so tea is becoming even more important in my life, although to be honest I didn’t realise that was possible. I’m so glad this week has come to an end. It’s not that I don’t try to enjoy everyday, but a few busy busy weekends, a flat inspection and then full on stuff at work has made me a slightly more exhausted version of myself than I would like to be. So to relax, I turn to tea. 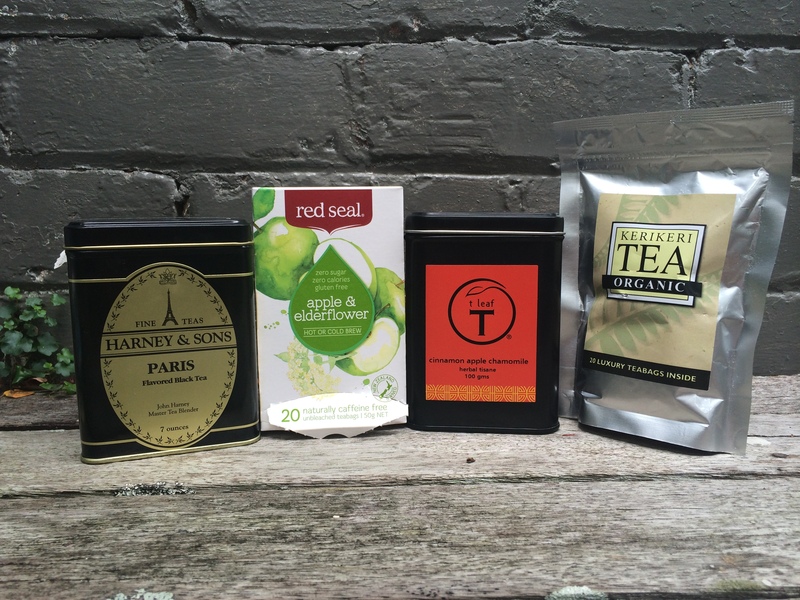 And here are 4 more teas that have been occupying my teapot lately. This first gorgeous tin is full of a tea I had been meaning to buy for the longest time, and eventually picked up from the awesome little tea shop in Mt Eden (tea and romance novels, what more could you need?!). Paris is a black tea by Harney & Sons, and for someone who tends to stick to herbal teas, this is a firm favourite of mine. I would drink a pot of it every time we visited Okra, and now I get to enjoy it at home too! This black tea is pretty fruity and flavourful, with bergamot and orange, but also warm notes of caramel and vanilla. Its a delicious brew, strong yet comforting, self-assured yet mysterious, like the French I guess. Delicious. 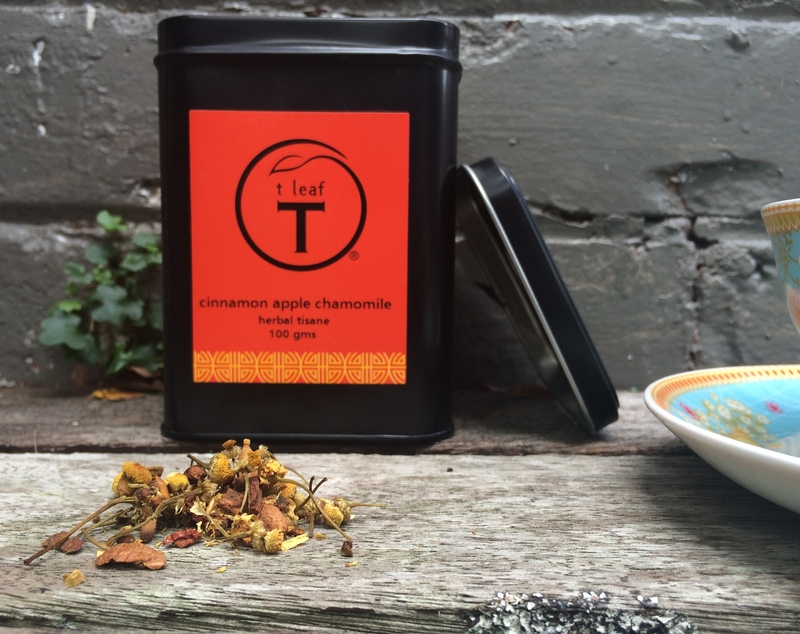 Just take a moment to gaze on the beauty of this t leaf cinnamon apple chamomile herbal tisane (long name, but I promise its worth it). It not only looks weirdly wonderful, but this amazing combination of flavours is my perfect evening drink to de-stress, unwind and settle down before bed. 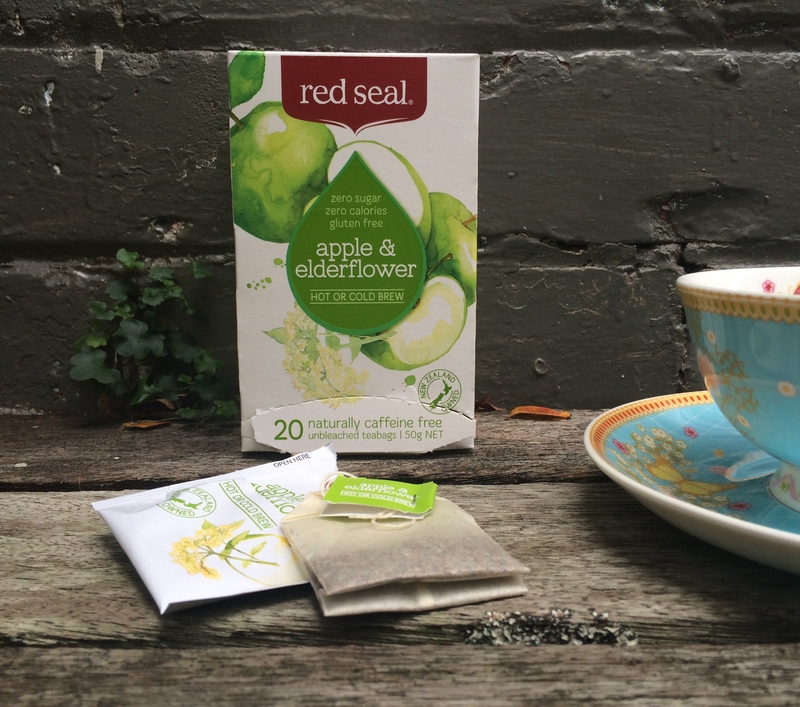 The apple and cinnamon are subtle but do a perfect job of bringing a warmth and depth of flavour to the chamomile blossoms. A perfect option for someone who isn’t a super big fan of chamomile tea itself, but wants to have its relaxing benefits! 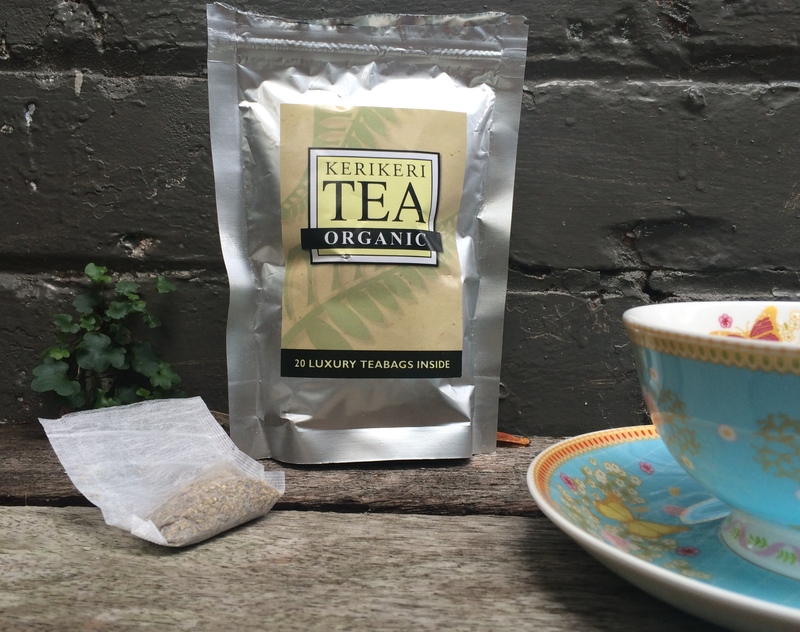 Last up is this wee bag of Kerikeri Organic Green Honeybush which has been my main choice at work lately. This caffeine-free tea doesn’t have super interesting flavours, but it tastes similar to a subtle green tea and has a slight sweetness. From what I have gathered, honeybush is a South African tea, similar to Rooibos, and normally the same golden red colour. This makes a great alternative for Green Tea as it still has high levels of antioxidants but doesn’t contain the caffeine of green tea. Let me know what tea has been featuring for you lately as this colder weather moves in, or what you think if you have tried any of the above! 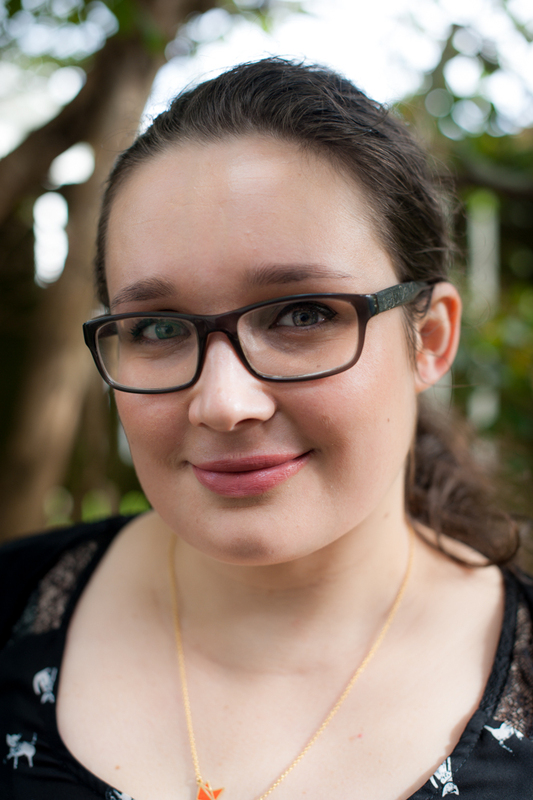 I’ve been lucky enough to be sent a few books to read from Hachette NZ and thought I would throw up quick reviews, at least for the ones worth talking about! Aside from my usual reading roundups, I haven’t really reviewed books before so please feel free to give me feedback on how I can make these more interesting and/or helpful. Or just comment below and let me know you love me, ’cause we all need some love every now and again. Where most of my reading takes place. In bed. 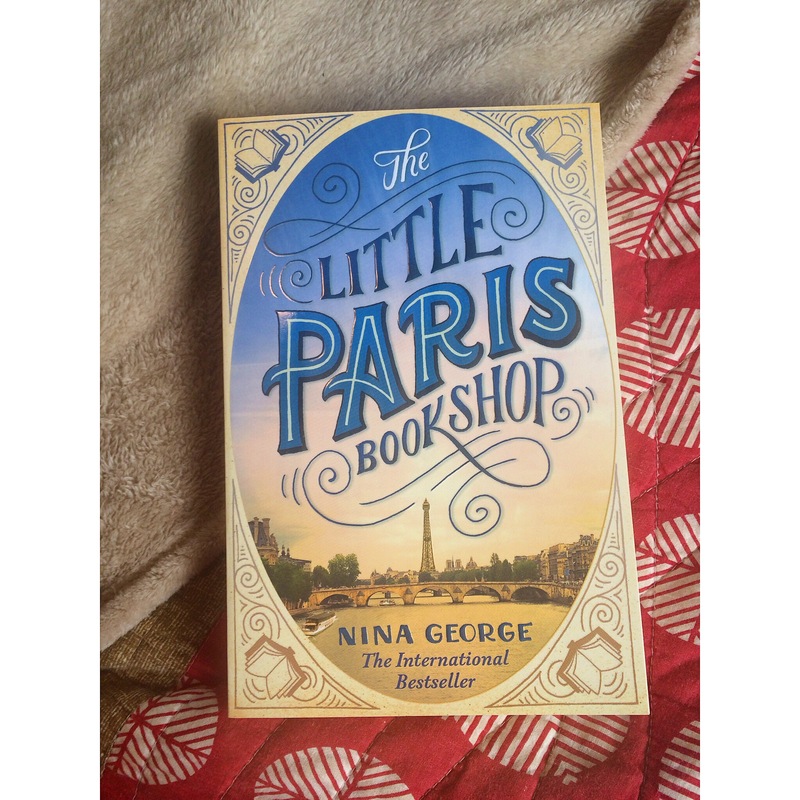 Summary: The Little Paris Bookshop was published at the beginning of April, and as soon as it turned up at my doorstep I dropped my other book (sorry Outlander, I promise to return!) so I could dive right in. The beautiful cover was enough to perk my France-loving interest. This story starts off in Paris and centres around Jean Perdu, the owner of a barge-based literary apothecary (I was sold as soon as I saw those two words) on the Seine where he prescribes books to his customers based on their ailments and needs. All of a sudden, he sets off with his young neighbour, searching for writing inspiration (aren’t we all!) down the country in search for closure. My thoughts: This was the perfect way for me to escape into a Parisian story of love and friendship, and moving on from events we shut off in our past. Set in one of the most beautiful settings in the world, and with incredibly likeable characters (almost too likeable), it would be hard not to enjoy this book. It was the kind of read where people interrupting me pissed me off, and I was only slightly ashamed of being rather unfriendly with colleagues. But when you are absorbed in a beautiful story set amongst Paris and Provence, with such vivid descriptions and characters, it can be a rather rude awakening to be brought back to reality. Sorry. What I liked: The dreamy setting (obviously, France will always be my escape from life), the funny little emotional descriptions our main character came up with, the ending that ties everything up in one satisfying bow and then gives you a few Provençal recipes to leave with (lavender ice-cream is a thing guys!). It’s an easy, relaxing, feel good read, and you can’t finish it without a little bubble of happiness slowly descending over you. All the talk of delicious food can also make you quite hungry, fair warning to all. What I didn’t like: Sometimes the characters were all a little too perfect. I loved them all, but sometimes I don’t want to love everyone and its nice to have a bit of variety. And we all know the French, they can’t possibly be all that lovely. Worth a read: Yes, I thoroughly enjoyed every moment immersed in this and felt better off having read it. Any book lover/francophile would enjoy this. In fact almost anyone would enjoy it, it’s heartwarming in the best sense of the word and would also make an excellent gift. *This book was kindly provided to me with no obligations and this has not influenced any of my opinions. I can barely keep track of my own thoughts, let alone someone else’s. Dear Crochet: Nice to meet you. Welcome to my list of hobbies that I start with the hope that I don’t fail and give up within a couple of months. Dear Balance: You elusive, difficult thing you. I’m trying to find a way to manage all of the different aspects of my life, whilst also trying to focus on myself more. There’s a lot of trying going on, and its almost working. Dear Twitter: Thanks for showing me that I’m not the only person who lets social anxiety convince my brain that everyone hates me. Its nice to get reassurance from others, and then set aside my worries in the “not important”pile in my brain. Dear Bagels: You make life a better place to be. Thanks for having such a great relationship with tomatoes and cream cheese. Together, we can face mornings with a smile! Dear Merlin: I love how you support my hobbies my trying to eat my crochet work. I love how you support my attempt to be more organised by eating my to-do lists. I also love your possum tail. Dear Gym: Its nice to be getting back into a routine with you. 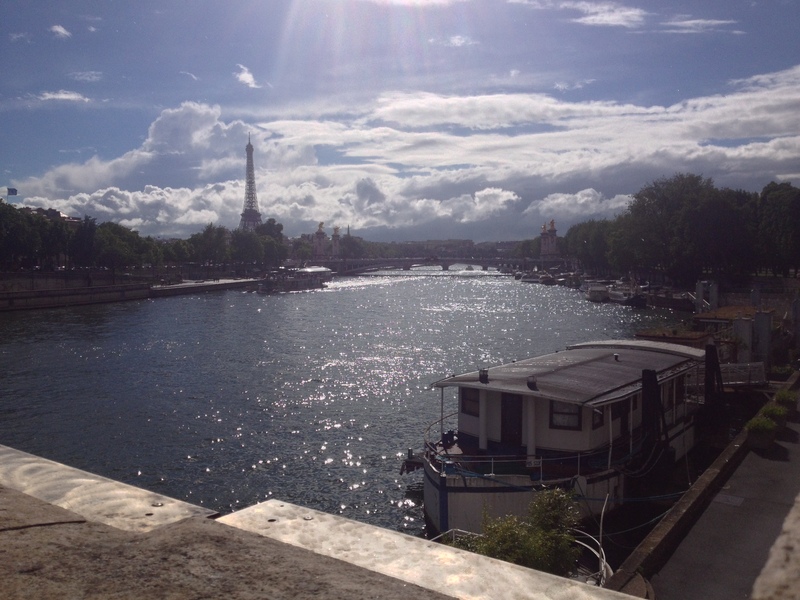 Dear Europe: One year ago exactly, my feet has just started wandering through your cities. This year has flown by faster than I could imagine, and yet my memories of the beautiful places and amazing sights Edd and I saw are ingrained into my mind as clear as they day I experienced them. Thank you for enriching my life and teaching me a few lessons along the way. One day, we’ll be back. I will always get excited when a new Death Cab album is released, but I never really got into their previous album and so when I listened to this the first time through and realised it was a winner I was beyond happy. To me this album sounds like the perfect development from older albums and also incorporates certain elements of The Postal Service. Its a good mix of upbeat singles and slower ballads, catchy tunes and restrained vocals, electronic and acoustic elements, and yet the album flows really nicely. Ever since the first time the OC played Lack of Colour, I fell in love with Death Cab and so falling in love with a new album was pretty darn satisfying. 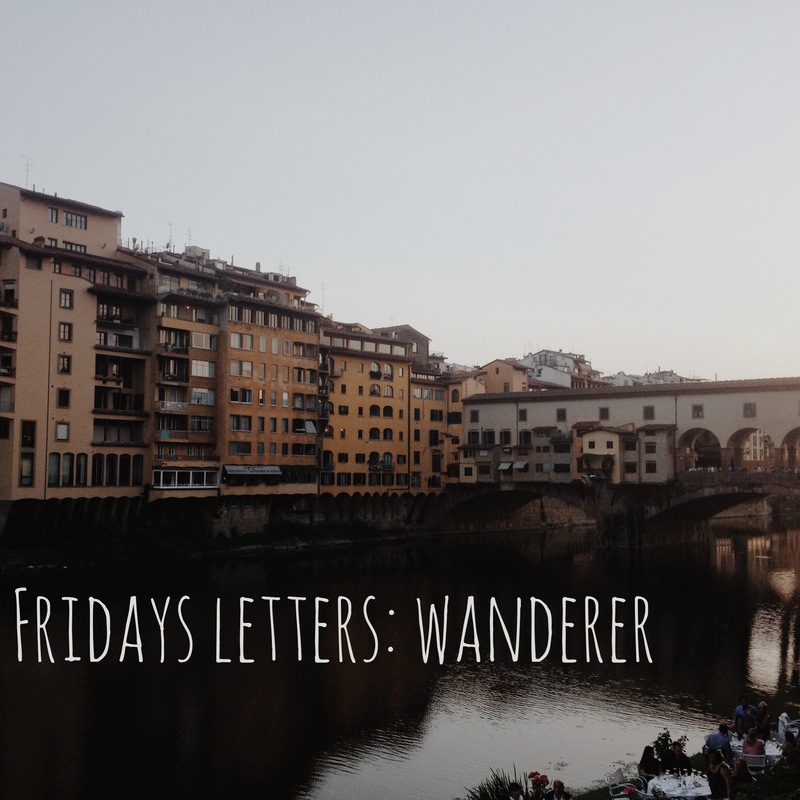 Listen to: Black Sun, Little Wanderer, El Dorado and Binary Sea. I have Dad to thank for introducing me to the Villagers through my favourite track by them; Becoming a Jackal (which annoyingly doesn’t appear on this album), and have been immersing myself in their albums ever since. This newest album was released earlier this year, and shows a rather restrained and elegant style of theirs that I really enjoy. This album is beautifully melancholic and simple, put together in a really neat way. If you’re a fan of Kings of Convenience (which I am) then this folky acoustic album will definitely be up your alley. If not, listen to Becoming a Jackal, their debut album to hear another side of their music. Listen to: Courage, Everything I am is Yours, Dawning on Me and The Soul Serene. Weirdly appropriate, as this time last year I was on a plane to London watching this movie for the first time. First things first, if you haven’t seen this movie, you should. Its Ben Stiller at his best, and its also a reminder of how incredible and beautiful life can be. Its fantastic, and had a pretty perfect accompanying soundtrack. This soundtrack is perfect for a Sunday morning spent pottering (which is my favourite thing to do on a Sunday). There’s a cool mix of songs from a few different artists, but most of it is Jose Gonzalez or his band Junip (I’m not complaining at all). 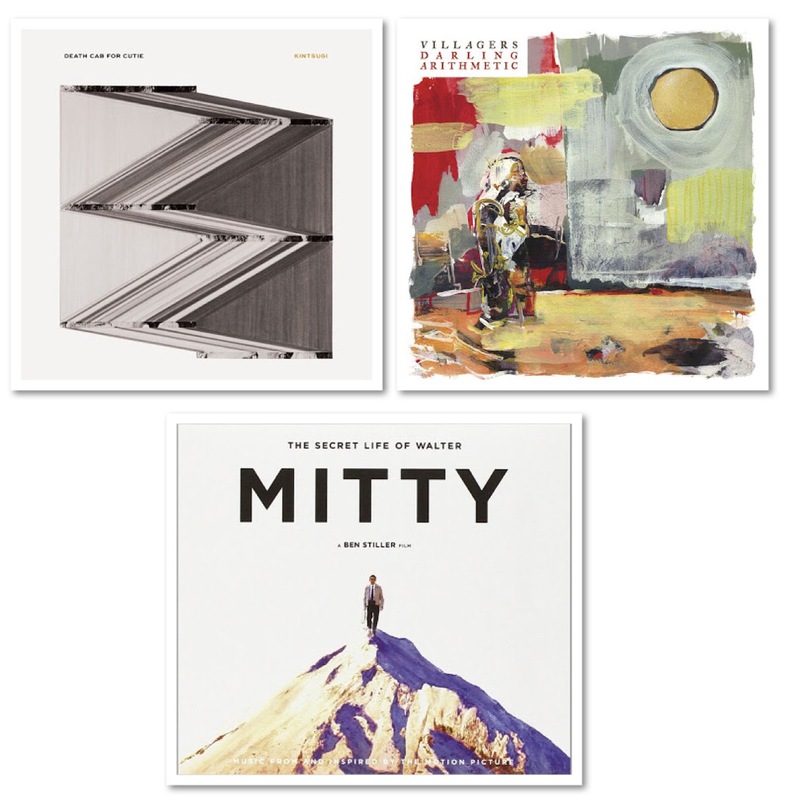 Listen to: Stay Alive by Jose Gonzelez, Don’t Let It Pass by Junip, and Don’t You Want Me by Bahamas and the Weather Station (such a cool cover). Give some of these a listen and let me know what you think. What have you been playing recently? Skin care is a problem for me all year round, but the change of season can especially mess with my body and send my skin into self-destruct mode, much to my despair. I have a few products that are on my bedside currently because they are wondrous and do a better job taking care of my skin then I normally ever do. All 5 have a slightly different use or function, and together they make sure my skin is moisturised and supple, even during these transition seasons. anatomicals continue to sneak their way into my trolley each shop, and I continue to not mind because they consistently smell amazing and do the job well. This night time hand cream is technically my all the time hand cream because it absorbs quickly but gives me a long lasting sense of hydration for my hands. It also smells delicious and subtle of creamy, fragrant avocados. Its just another perfect hand cream (see my two other favourites on this post on anatomicals). I have used this for years now, and it is still one of my favourite cuticle creams to carry around with me and use before bed. I slather this all over my nails and fingers to keep them soft and soothed (and keep dry cuticles at bay). Unlike my other favourite cuticle products, this balmy product doesn’t seem as oily/greasy and soaks into my skin fairly quick. This little classic is full of natural ingredients like almond oil, lemon oil, rosemary, vitamin E and other things that all look like they belong (if I can understand what it is and why its there, I’m happy). The subtle scent of lemon is an added bonus. A couple of weeks ago I was lucky enough to attend the launch of this new brand goodness which hosts a range of 5 amazing skin care products featuring organic chia seed oil. I apply this at night and wake up with such radiant, moisturised skin that I already know this will be a new staple in my skin care routine (out goes my beloved rosehip oil). Lightly scented (earthy and nutty scent) and pleasant to use as it doesn’t just sit on my face, I find this does an amazing job of adding in some extra hydration for my face as well as reducing redness and overall just being a bit of a show off. The balance of alpha omega oils are perfect for dry or sensitive skin but can be used by pretty much anyone wanting to add some moisture and goodness to their skin. See the full range over at the goodness website (I have my eye on their beautiful pumice chia seed oil face scrub). Another product that takes care of my face overnight (and often during the day because I am too lazy for two face creams most of the time) is this night cream from the positively radiant range by Aveeno. Another favourite skincare brand, I have never had my sensitive skin react to any Aveeno products, and this night cream is perfect for my difficult, dry skin. This night cream is surprisingly light (which is why it sometimes appears during the day too) but still lasts all night and leaves me waking up with soft, calm skin. This is my perfect body moisturiser for slathering on after a shower before jumping into bed. Its not thick or heavy, and so this lotion soaks into my skin leaving it feeling amazing and smelling like chocolate. Its amazing. I use this generously every day and I don’t think my skin has ever been so uniformly moisturized and healthy. What’s even better about this lotion is that 100% of the profits from this product goes to various good causes like saving the Maui dolphins, aid for developping countries and other amazing work done all over the world. Lush uses the funds from this wee wonder (minus the GST) to help support organisations doing amazing things, so you can feel even more wonderful knowing that your hydrated skin is part of something much bigger and better. Read more over here. These are my 5 current skin care saviours, what do you use during these season changes to take care of your skin?